The personal profile is well highlighted. The CV is simple and effective. 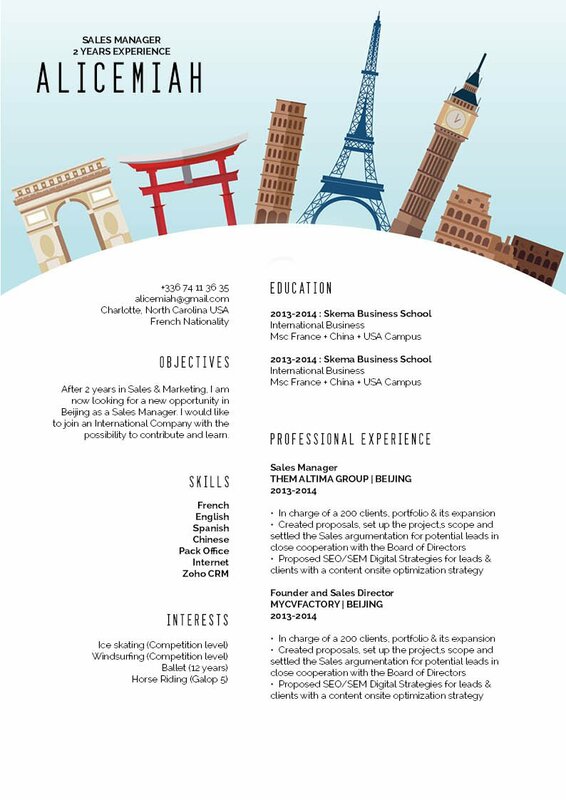 CV template to download "Lofty"
Need a clean and comprehensive resume ? 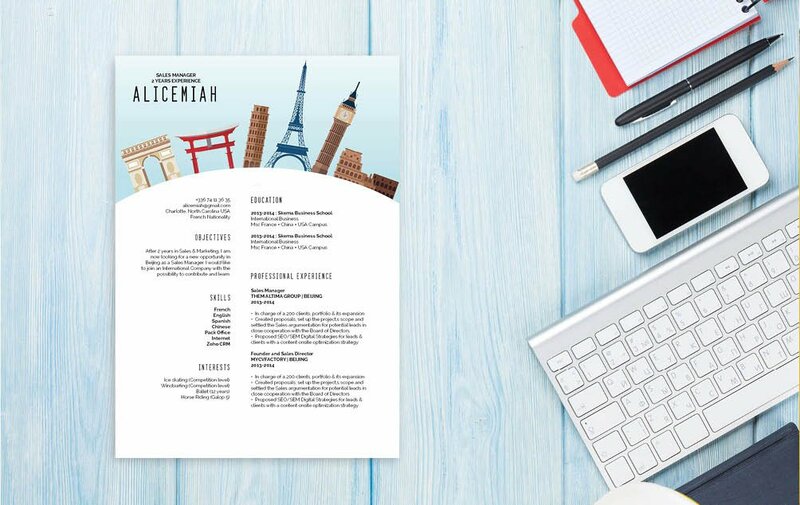 Then Lofty resume template is just what you're looking for. It has clear and crisp design that perfectly highlights your qualifications well. 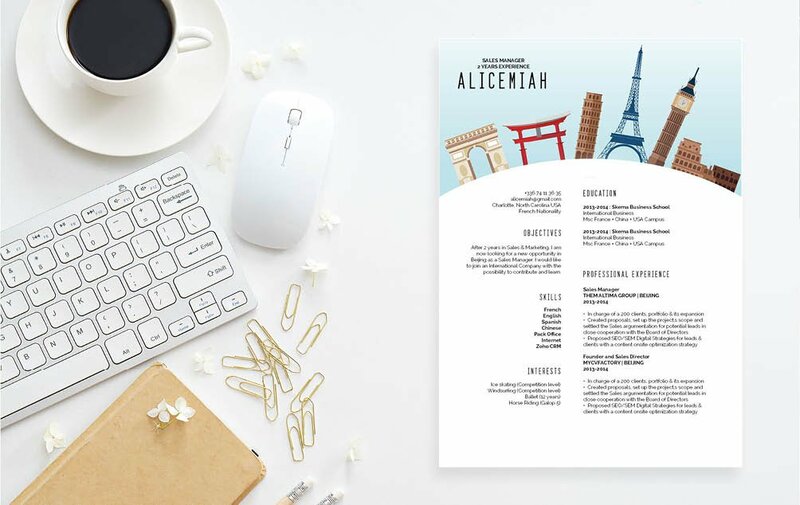 This resume template is excellent for any job type out there, so whether you're applying for a secretarial, IT, or teaching job—rest assured this template will serve you well ! One way to make an effective resume is by writing in a short, but substantial manner. 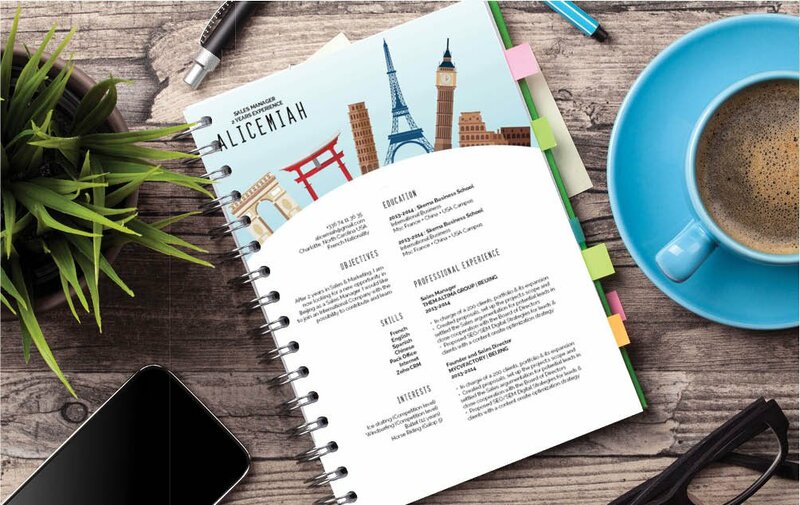 It will make the resume more comprehensive and attractive to the eyes of the reader who will surely get you that dream job ! Make the sections on your resume dense with information, but short. Readers usually expect a style of writing that conveys a complete thought within just a short block of text. Whether they're reading a book, article, or a resume, most readers begin to tune out once they 5 lines deep and still don't a have a clue on what you're overall argument is. Keep each paragraph of your resume short, but substantive. Simply complex sections into easily understandable segments.